WHO….Dr. Christine Blasey Ford, accuser; Judge Bret Kavanaugh, defendant; Mark Judge, witness; Patrick J. Smyth, witness; Leland Ingham Keyser, witness. WHAT….. all named witnessed declare, under oath of committing felony perjury, it never happened. Ford’s best friend Leland, said Ford never ran in the same crowd as Kavanaugh. Dr. Christine Blasey Ford claimed in the early 80s, perhaps the summer of 1982, she attended a party somewhere near Columbia Country Club in Montgomery County, Maryland. She neither remembers how she got there, nor how she returned home. She does remember it was before she obtained her driver’s license. She mentions four boys and two girls were there; or maybe ????? more. She was only able to provide names for four, Brett, Mark, PJ, and Leland. Although she was never asked why she was upstairs in the first place, since most nearby homes have at least a powder room on the first floor, she claims she was in an upstairs bedroom with Mark and Brett. Here, she was thrown onto the bed and Brett attempted to take off her clothing, ground himself against her and put his hand over her mouth. She feared for her life. Mark threw himself onto the bed and they all fell onto the floor. She recalls the boys laughing hysterically at her expense. She escaped into the bathroom and later went downstairs and outside, returned home and no police report was filed. In order for an investigation to occur, either then or now, the plaintiff must file a police report and Ford has not nor did not. Recent requests by Democrats to investigate were met with a refusal because it was a 1982 misdemeanor and the statute of limitations expired after one year. She was too afraid to mention the incident to anyone until 2012 when she first divulged it in couples therapy. The emergent memory was so strong she claims she had to install a second front door in her home in order to have an additional way to escape in case of another attack. The building permit for this door was issued in 2008! It has been reported to connect to a room she rents out. WHEN….time unknown, date unknown, probably in the summer of 1982 prior to Ford obtaining a driver’s license. WHERE….place unknown, some home in Montgomery County, Maryland, probably near the Columbia Country Club. WHY….MOTIVE ONE. To use the newly minted phrase….create a moral panic. Democrats would have you believe it is because Bert Kavanaugh is being hired for a lifetime job and for this, should have a totally unblemished character. This 11th-hour allegation should provide, beyond any reasonable doubt, an adequate reason to reject his application, despite being totally unprovable and totally opposed to an otherwise spotless reputation. Kavanaugh passed six previous FBI investigations. This motive is relatively improbable because more than 100 friends, classmates, and coworkers have written and spoken to the quality of his character. Mark Judge has agreed to testify to the FBI. MOTIVE TWO… Bret Kavanaugh’s mother was a judge with ties to a foreclosure of the Blasey Maryland residence and this is REVENGE. This motive is also improbable because the home was not actually foreclosed and his mother’s ties were distant to the case. MOTIVE THREE. Some Republicans would have you believe Democrats, the Deep State and Nevertrumpers within the Republican Party want to use any possible means to delay the Kavanaugh confirmation beyond the 2018 Midterm elections, hoping they will reclaim the majority necessary to prevent a conservative judge being appointed to the Supreme Court. HOW: This is where it gets interesting, with evidence pointing to Motive Three as the most logical answer. Since high school yearbooks entered the discussion re Kavanaugh and suggested he habitually partied, got drunk and even may have passed out with no recollection of events, it is only fair to also point out Ford’s yearbook records. Holton Arms, the private girl’s school Ford attended, might be a role model for “Fast Times at Ridgemont High.” Girls partied, got drunk and bragged about being sexual predators. Logic and knowing most teens frequently do things of a questionable nature, might indicate this episode, if it actually happened, would be equally commonplace for either party. Kavanaugh’s online yearbooks were not scrubbed from the Internet; Ford’s have been. Pages from hard copy remain and have been shared. Kavanaugh was blindsided by accusations. His family receives death threats. He has no gofundme website to pay for the legal expense. Ford has pro bono attorneys, she testified she does not know who paid for her polygraph and her gofundme totals are nearing one million dollars at this writing. Ford sent an accusatory letter to Senator Dianne Feinstein in July, after having previously contacted her congressional rep who initially suggested a course of action. This letter has been examined and found to have typographical inconsistencies. It does not mention Kavanaugh by name. Writing experts furthermore claim it could not have been written by someone with a Ph.D. There were at least 14 glaring elementary mistakes that someone who has written for publication should not have made. Rumor has it that the same or very similar letter has been seen before, particularly prior to the Justice Gorsuch confirmation. Feinstein suggested hiring attorneys Feinstein knew. Ford also requested Feinstein keep information confidential. There are procedures specified by the Senate committee for having investigators handle affairs quietly. Instead, Senator Feinstein sat on this information for nearly two months, when someone from her office or Ford herself eventually leaked it to the Washington Post and a very public planned or unplanned circus began. Ford testified she had not given her letter to any other parties. During a lengthy confirmation process, Kavanaugh was asked nothing about this incident, by either Feinstein or any of the other nine Senators on the Judicial Committee. Information was saved to use at a later critical juncture to delay, delay and cause further delay. Looking at the choice of attorneys is interesting … Kavanaugh’s lawyer, Beth Wilkinson, is a high-powered, Washington D.C. lawyer who represented multiple top Clinton aides involved in the FBI email investigation during the campaign. She’s also a long-time Democratic booster and is married to CNN contributor David Gregory. As for Dr. Ford’s attorneys… Debra Katz was a campaign fundraiser for Clinton during her 2016 campaign. Michael Bromwich resigned from his law firm because partners objected to his decision to represent her. Attorney Michael Bromwich was the face of fired FBI Deputy Director Andrew McCabe’s legal team. An examination of Bret Kavanaugh and his life is an open book, documented by his written record. An examination of Christine Ford’s life and connections raises many red flags for a left-wing political agenda. Debra Katz, the attorney representingKavanaugh’s accuser — Christine Blasey Ford — is vice chair of the Project on Government Oversight, an organization that has been directly funded by Soros’ Open Society Foundation. CHRISTINE AND RALPH III’S GRANDFATHER WAS NICHOLAS DEAK. FORMER CIA DIRECTOR WILLIAM CASEY ACKNOWLEDGED DEAK’S DECADES OF SERVICE TO THE CIA.WELL, BESIDES BEING A “PROFESSOR” AT THE OFF BRAND UNIVERSITY, SHE ALSO WORKS AT A MAJOR UNIVERSITY DOWN THE STREET FROM PALO ALTO. SHE JUST SO HAPPENS TO HEAD UP THE CIA UNDERGRADUATE INTERNSHIP PROGRAM AT STANFORD UNIVERSITY. Even though Roe versus Wade is established abortion law and it would take another case brought before the Supreme Court to change anything. Democrats, Planned Parenthood and radical feminists are so protective of the right for unrestricted abortion, they use this as a perceptive wedge against the Pro-Life segment of the population. The Supreme Court, according to Constitutional provisions does not and can not legislate on its own. By stacking the court with liberal judges, the left wants to enable the court to legislate as well as rule. 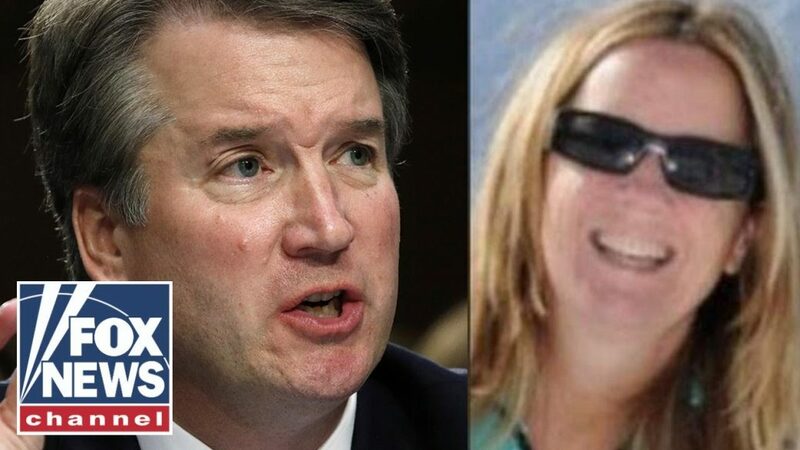 Ford as a political activist….Ricki Seidman, a Democratic operative and former Clinton White House official who is now an advisor to Mrs. Ford, said in July (at roughly the same time as the letter was submitted) that she predicted a “strategy” forming to destroy Brett Kavanaugh. Discovery…..little hard evidence about the alleged event is available. Kavanaugh produced a calendar/diary for the summer of 1982. This indicated he was out of town for much of the summer and while home, only a few occasions presented as opportunities to attend a party. Each of these occasions was accompanied by good reasons for not have partied, e.g. taking an SAT exam the following day. Ford turned over a problematic lie detector record during which only two questions were asked and neither mention Kavanaugh by name. Beth Wilkinson, Kavanaugh’s attorney, is interested in seeing the therapy sessions notes, which she says are important to corroborate claims made by Ford. “Apparently in those notes, there’s a differing story about how many people were present at the party, there’s no mention of Judge Kavanaugh, and so all that information would be very important to determine whether there’s any corroboration of this allegation,” Wilkinson said on “CBS This Morning” Wednesday. At every step of the way, Ford and her team have managed delay after delay sometimes for reasons that rise to the level of malpractice by her attorneys. Apparently, Ford was not advised that Senate investigators would come to her in California after she objected to flying. Contrarily, from day one, Kavanaugh has asked for and agreed to cooperate with any opportunity or investigation to clear his good name against this defamatory allegation. Implications…. 1) if Kavanaugh is not confirmed, his reputation and employment opportunities are stained forever. 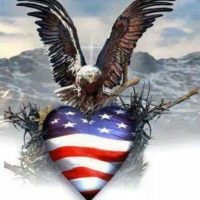 2) if his confirmation is delayed until after the mid-term election and the majority party is flipped, his reputation remains stained and he will not be confirmed. 3) if he is confirmed, his decision will always be thought by some to be as flawed as those by Judge Clarence Thomas have been by the Anita Hill allegations.